It is a momentous day for Physical Education and Health Teacher Roxanne Grover. Forty years ago today, she started her first day as a teacher at Whittier Tech, and tonight she will be honored as a nominee for the YMCAs Educator of the Year. Ms. Grover, a lifelong resident of Haverhill, began her career in 1977 as a fitness and gymnastics instructor at Haverhill YMCA before being hired at Whittier. An influential department head for the past 12 years, she has been responsible for numerous initiatives to benefit the wellness of students. She is an advisor to Whittier’s Peer to Peer Program and with students has organized the Walk for Hunger to benefit Project Bread, food drives to benefit Our Neighbors Table, a Walk to End Domestic Violence and many other events. 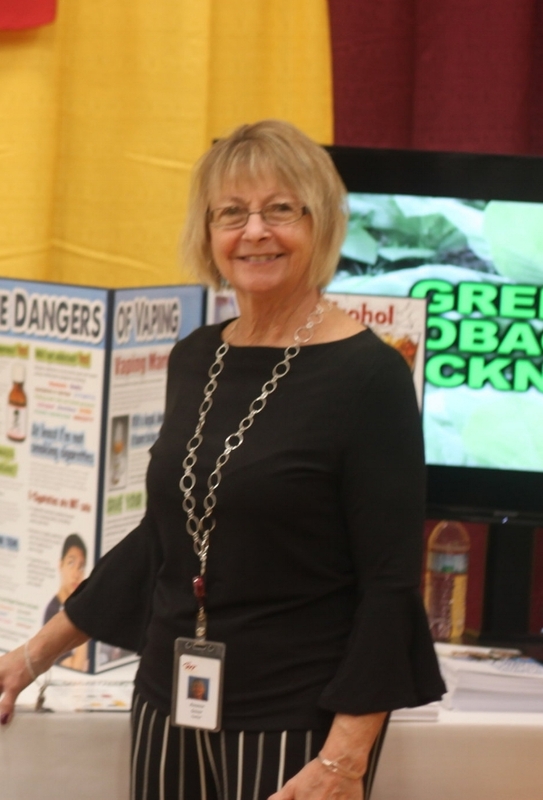 She has also helped to organized Whittier’s annual Relay for Life to benefit the American Cancer Society, drug and alcohol awareness programs for students and parents and bullying prevention seminars for students and staff. Ms. Grover will be honored with other nominees from Haverhill High at a dinner tonight at Northern Essex Community College where the Educator of the Year will be announced.